Hwy 101 mile marker 334. 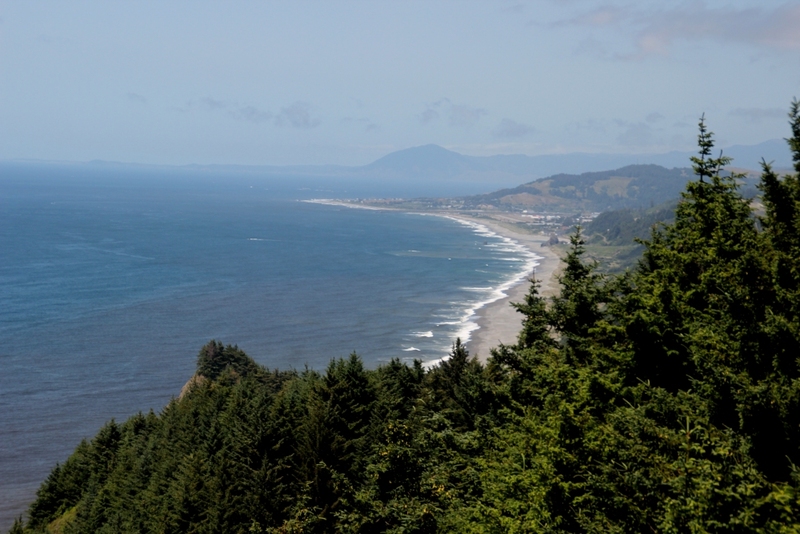 The two parking lots above the Cape Sebastian corridor are about 200 feet high, and allow you to see a large portion of Southern Oregon beaches. 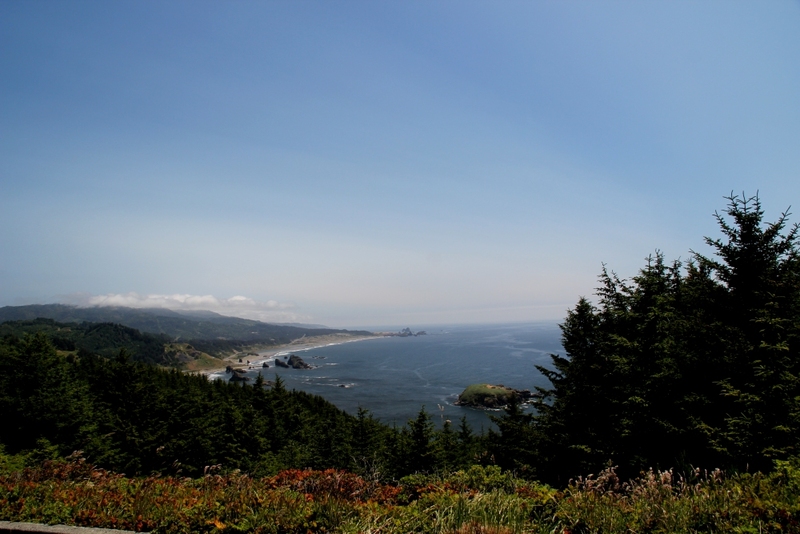 According to the Oregon Parks link, you can see about 40 miles north, including Humbug Mountain, and about 50 miles South, all the way into California and the Point George lighthouse. 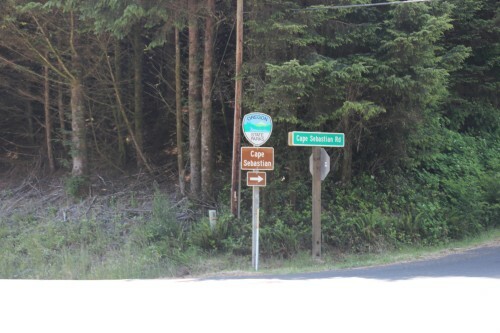 Oregon Parks link:Cape Sebastian No fee required. Here's the view to the North, with Humbug Mountain in the distance.